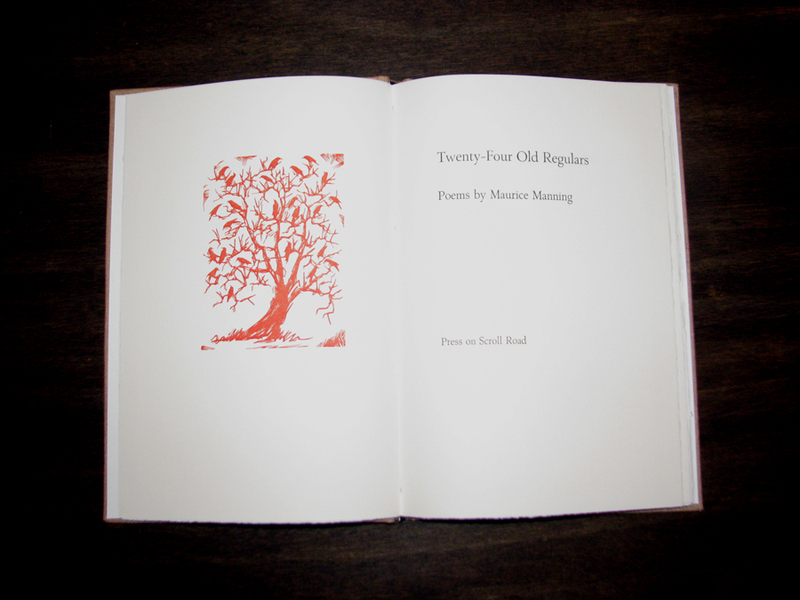 By Maurice Manning with wood engravings by Gaylord Schanilec. This collection of new poems was printed from handset DeRoos types on Rives paper in an iron handpress and bound by Campbell-Logan. First Edition. 9" x 6", 34 pages, forty-eight copies. $125.00. Out of Print.